One of one hundred. 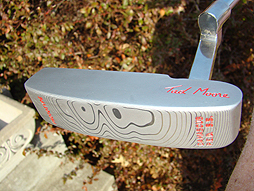 Damascus prototype made by Tad Moore. 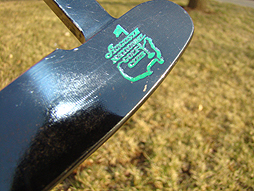 This putter, the Pro 1X, features a double bend shaft, much like the fabled Anser X and is also very rare in that the Damascus swirls face-out and not up. 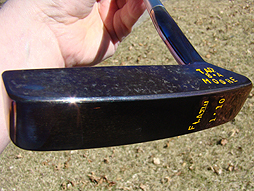 According to Tad, only a handful were ever made in this manner. 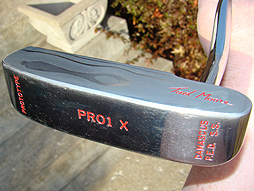 One of about one hundred Damascus prototype made by Tad Moore. 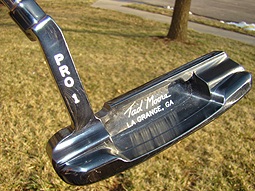 Pro 1 variety features an Anser head and plumber neck. 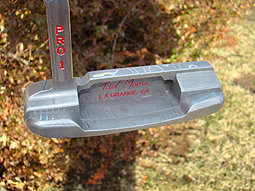 This is one of ten handmade "Flame" prototypes made by Tad Moore in 2009. 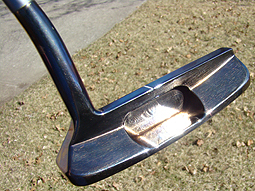 This is #1 and this series features flame-treated heads that produce a blue/brown tint that is just beautiful. 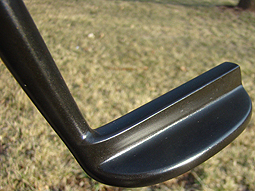 Not made for production. 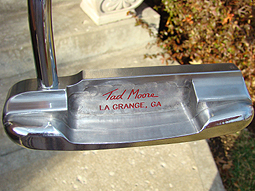 Tad Moore Pro 1 putter made for Masters Tournament. 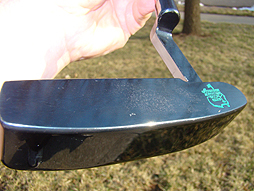 One of 15 made, these were offered only in Members' Pro Shop at Augusta National and sold out within minutes. 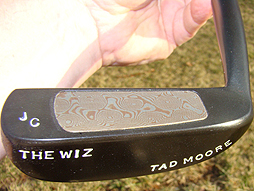 This is a Tad Moore "Wiz," one of only two created. 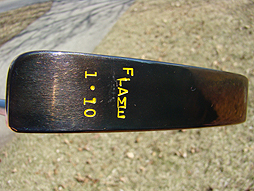 It features a George Low head and a very rare mocame insert.